Home Blogs What happened to Imagination? 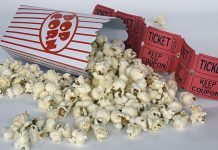 In past blogs I have discussed films of a more mature nature, aimed at a certain type of audience. So, I have put together the following list of films from a different genre targeted at younger viewers. You will find I’ve highlighted family friendly films which I think deserve to be seen by everyone. I personally enjoy darker, more serious films, but I acccept not everyone enjoys the same. Most prefer more lighthearted entertainment. I don’t believe in patronizing younger audiences and the films I’ve chosen were produced some time ago. These films are classics that have shown no sign of ageing. And, what’s of paramount importance is that they don’t undermine their audience. Many films of today, aimed at younger audiences, go above and beyond to undermine them…some quite disturbingly. A certified U film ironically doesn’t always mean it’s suitable for all. These movie choices retain suitability for a younger audience without undermining them. They also explore themes that everyone can relate to. After all, what are we but pieces on a chessboard if we cannot step outside the confines of what society deems is right for us cinematically. 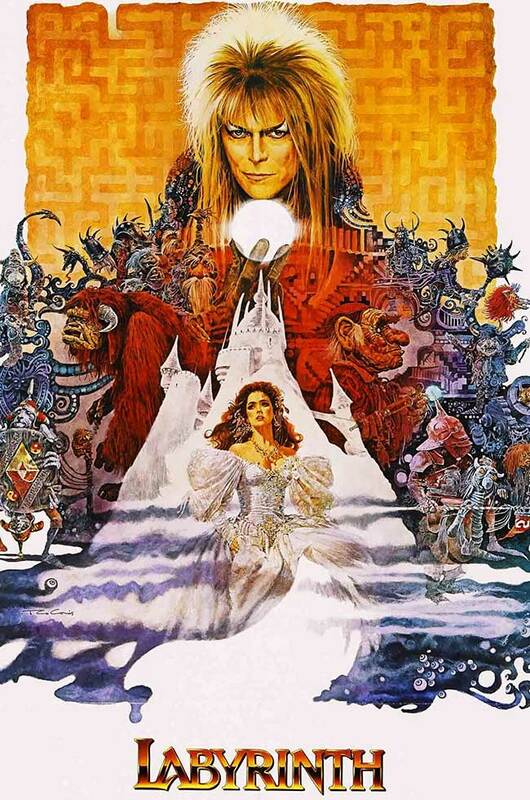 1986’s Labyrinth was a meeting of great minds that just all happened to be around in mid-1980’s. Jim Henson, having had moderate success with ‘Dark Crystal’, moved to his next project – Labyrinth. Like ‘Dark Crystal’ it incorporated Brian Froud’s design work. There is a serious undercurrent at play within this film, which is more affecting for adults than for younger audiences. Making it a film to be appreciated by all ages. This darker tone is particularly apparent in the story involving troubled teen Sarah. Feeling cast aside by her new baby brothers presence, her behaviour and attitude appear to reflect this. However the real reason for Sarah’s distress involves her fear of ‘growing up’ and her brother is just acting as the catalyst. This troubling situation combined with being influenced by her interests in other worldly characters and fantasy lead her to summon what she assumes is a fictional Goblin King called Jareth (David Bowie). To her horror Jareth appears to be real, along with his Goblin army they then kidnap her baby brother and give Sarah an ultimatum – to solve the Labyrinth or loose her brother forever. It’s true fantasy and is scene after scene of the most imaginative characters and set design I’ve ever seen in a film. There’s a lot of references to other works such as ‘The Wizard of Oz’ and more closely ‘Alice’s Adventures in Wonderland’ and the puppeteering used in the film is exemplary. Bowie was at the peak of his powers in film during the 1980’s and was one of the few singers that tried acting and actually produced some great work. He was equally impressive in ‘The Hunger’ and took a leading role in ‘Merry Christmas Mr Lawrence’. There were misses too, which we won’t bring up, but these films were great. I also enjoy the sense of ambiguity in the film. There are more than a few references in the movie that imply Sarah could be imagining everything taking place, but that’s the essence of fantasy. 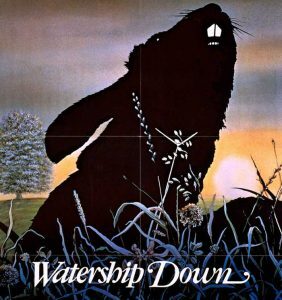 If there was ever a landmark animation film it would be Watership Down. It’s in a category all of its own and it’s also an important film for younger audiences to watch. It makes audiences appreciate the characters (who happen to be rabbits) and subsequently view these creatures in a much more profound way. However, as adults it takes on a more reflective meaning and can be a tougher watch due to the symbolism of life and death and coping with loss. 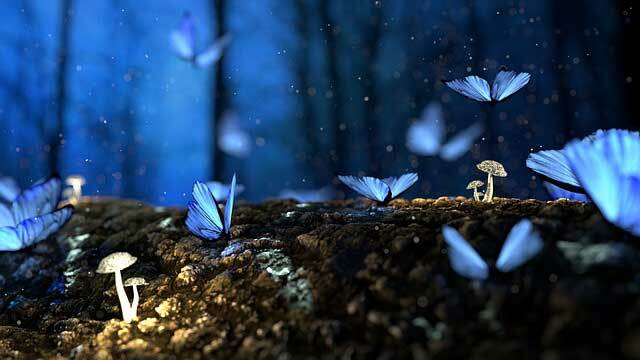 The characters in the film are a metaphor, and although the film is based on the classic novel by Richard Adams, it’s become its own using remarkable animation. It hasn’t lost any of its power and feels more relevant today than when it was released in 1978. 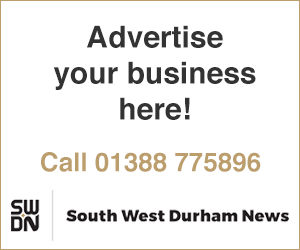 Watership Down speaks to the unanswered questions we will never get to resolve when it comes to loss of life and its meaning. It succeeds in characterizing the rabbits, so you can have a deeper appreciation of them as animals. Animals that you should respect and admire. 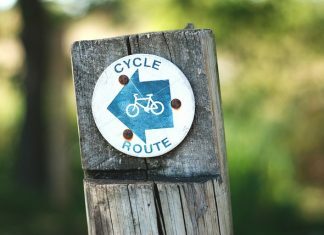 They may be fictional characters in the book and film but the situations they face such as crossing busy roads, traps, antagonistic farmers, and the need to understand god (or a god) are themes we can all relate too, some more than others. But it’s these conflicts between life and death that are Watership Downs main themes. They echo an important principle in that we shouldn’t fear or challenge death, or the nature of death. That we can meet it half-way by valuing life and respecting and not harming animals. Otherwise we’re just doing deaths job for it, and it’s got enough on its plate without our help. I enjoy these allegorical films the most and think all films should contain something that makes us question our positions in society and uncover the real value or meaning in any given situation. Along with John Carpenter’s ‘Assault on Precinct 13’ (another film which wasn’t afraid to examine the value of a stigmatized group to overcome greater perils that could only be distinguished by collaboration) it’s amongst my personal favourites. 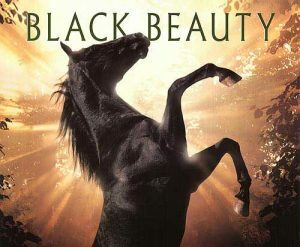 1994’s Black Beauty based on the classic 1877 novel by Anna Sewell is a decent film. They have tried to remain faithful to the source material but the film doesn’t step outside the realm of strict, good-natured novel adaptations, which I don’t mind but it doesn’t go anywhere else as film artistically. It’s still a good recommendation as it’s beautifully made, if a little straight-forward and slightly unaffecting overall. 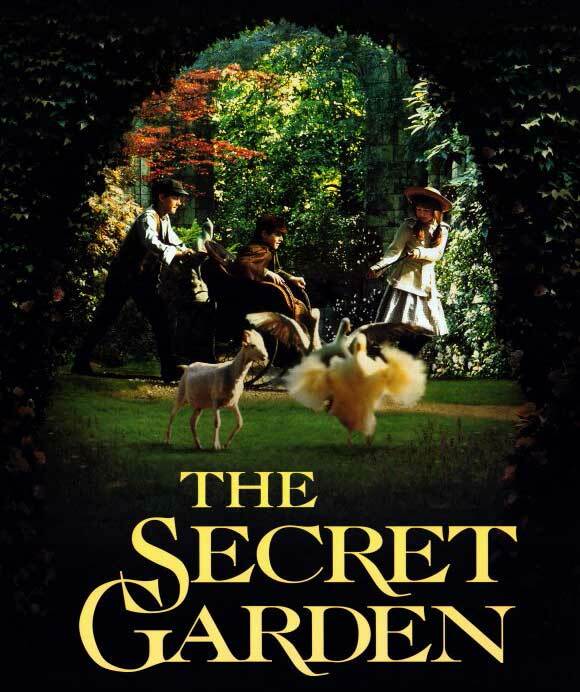 The Secret Garden should be on a list of its own. It’s an exceptionally well-made film, looks incredible, and unlike Black Beauty – has a feel all of its own. Based on the novel of the same name by Frances Hodgson Burnett. There’s some creative flair in here and some very atmospheric film-making. The young and privileged Mary Lennox is sent to live at her uncle’s mansion – Misselthwaite Manor in Yorkshire (Allerton Castle was used during filming), after a family tragedy leaves her as an orphan. 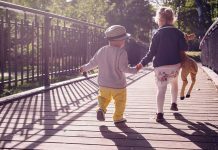 During her time there she uncovers a secret garden, makes new friends, and is introduced to her cousin Colin who may or may not be gravely ill.
It’s a fascinating story and really uplifting as a film. Never faltering from start to finish, and is equally satisfying for adults, if not more so. Lord Archibald Craven (John Lynch) who closed the garden after the accidental death of his wife, is portrayed very well. I thought he was very complex and misunderstood. Thankfully, the film has a very positive ending where everyone makes peace and overcomes their tragic predicaments – which is a recurring theme throughout the novel and the film. It’s in this sense I find it a very aspirational film for anyone wanting to turn over a new leaf and start again. These films are for an acquired taste. The Grinch (or, ‘How He Stole Christmas’) is a much stronger film than ‘The Cat in the Hat’. They both look good, and the worlds of Dr Seuss’s characters are brought to life vividly through the use of vibrant colours and flamboyant characters. There’s some subtle adult humour throughout both which is quite funny but anyone of any age could find amusing. I don’t think either of these films are classics despite being based on classic material but they are better than the reputation they got from mainstream critics and ‘The Grinch’ is required during the Christmas season. 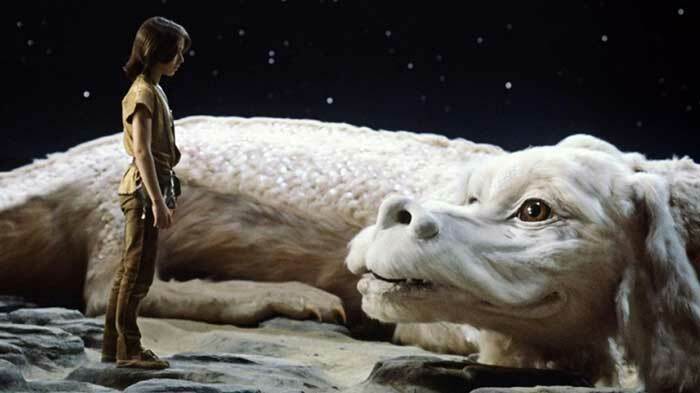 The Neverending Story broke the mould for children’s films in half. It is an allegorical fantasy which was produced in West Germany with some American involvement, and it’s full of Germanic rich fantasy overtones. It tells the story of Bastien who yields little control in real life and finds solace in a book he finds called ‘The Neverending Story’. The book serves as a passage into a fantastical world where he can escape from the confines of the real world and into one that has limitless possibilities. It’s a world where he can take control and alter the story as he reads it, and this unfolding story is brought to life on the screen in the guise of Atreyu. On a quest to save a crumbling world from ‘The Nothing’ and find a cure for the Empress Fantasia. It’s well-crafted and contains some great scenes – a particularly bleak but effective scene occurs involving Atreyu’s horse sinking within The Swamps of Sadness. This scene is played out so organically it’s almost as if this tragic situation is unfolding in real-life. The notions of tackling your darkest fears and insecurities are themes everyone can relate to and should you open your mind to these themes, the film can be a rewarding and cathartic experience. Some particular scenes of Atreyu on his quest are interesting; one involving a gateway guarded by giant Sphinxes, who will kill anyone entering with fear in their heart, and a mirror which reveals your true self, this may or may not be something you want to look at. The book fuels a world powered only by the imagination of the reader. Rooted in adolescent insecurity, the book acts as a metaphysical reinforcement for the young reader. The sets are amazing, particularly the crumbling palace. Themes of destruction of literary dreams and imagination in books, a loose adaption of the novel. The way the whole film is conceived is quite unique, it’s likely to never happen again in Cinema. Actor Leonardo DiCaprio bought the rights of this book over a decade ago, for a possible remake, and so far it’s not come to fruition. In reality the film is ‘of its time’ and only loosely based on the novel. It’s something that wouldn’t get produced today due to trends in younger audience’s entertainment. 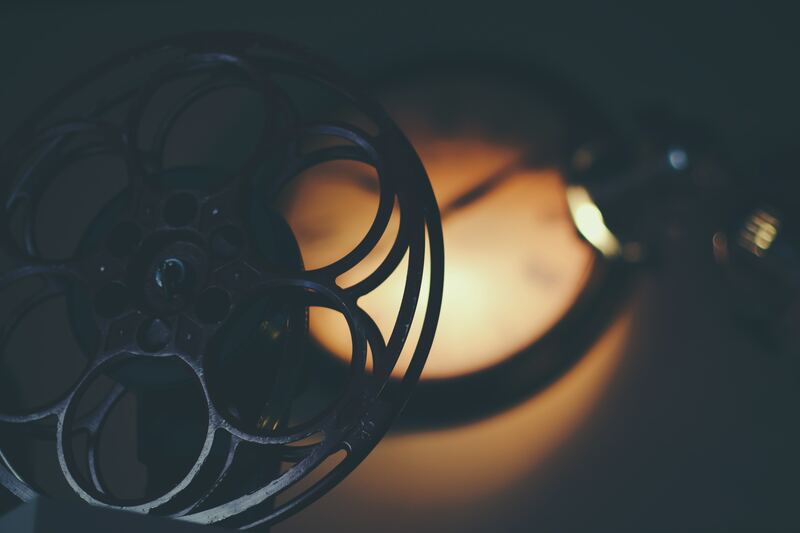 Moving away from Fantasy and producing films and television programmes that shy away from the psychological and promote a more uniform society and a specific value system, in whatever shape or form that may exist. 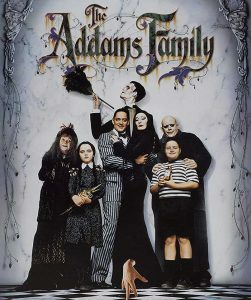 The Addams Family was one of the best film adaptations of a much loved tv series to make it to the big screen. Featuring elaborate costumes and set designs, including the family’s gothic home. It’s a shade more eccentric than its television counterpart, which is quite a feat considering the original show. The reimagining of ‘The Addams Family’ doesn’t take itself seriously and it’s particularly freewheeling even for a comedy. Despite it being aimed at a younger audience it has highbrow adult humour hidden away. The production design and costumes are sublime and the attention to detail is something missing in many modern films…especially comedy. The story is deliberately loose as a way of levelling out against the eccentric and wild set design, and this move works well. A more complex story would have been at odds with the surroundings so to speak. A sequel followed in 1993 – ‘Addams Family Values’ – which is just as good, but it sadly moves away from their Gothic retreat to an All-American summer camp for a substantial portion of the film. Nothing in the film has been done on the cheap, you can see a lot of money has been used in both. I’m very sceptical with todays’ movie budgets. They say have large figures, but I can’t see it on the screen. I feel most of these costs must go towards the actor’s salaries, insurance, location costs etc and not so much on what we are seeing on the screen. This is light entertainment and the characters are well written, mature, and not three-dimensional – something Pixar would struggle with after this great late 90’s hit film. The digital animation is imaginative and the voice acting suits the designs, which it doesn’t always in these types of films. If you appreciate Pixar animation and a decent script (for a Pixar film) you can do a lot worst. This film is a rare example of incorporating Woody Allen’s self-deprecating humour into a family film and it works perfectly. Antz is very self-aware and has a sardonic character of its own. So, in that sense it’s perfect fare for adults. The animation is good, and the character designs are interesting and unique. 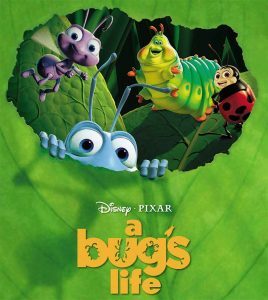 Despite its title it’s nothing remotely like ‘A Bugs Life’, this film has a different tone completely. It’s not too deep, it’s just fun and entertaining. Woody Allen’s humour doesn’t patronize the audience like so much of the animation we see today. There have been hundreds of decent animated films recently (ie; The Red Turtle and The Book of Life) but there’s still a lot of poor films in this category, however, I feel ‘Antz’ holds its own. 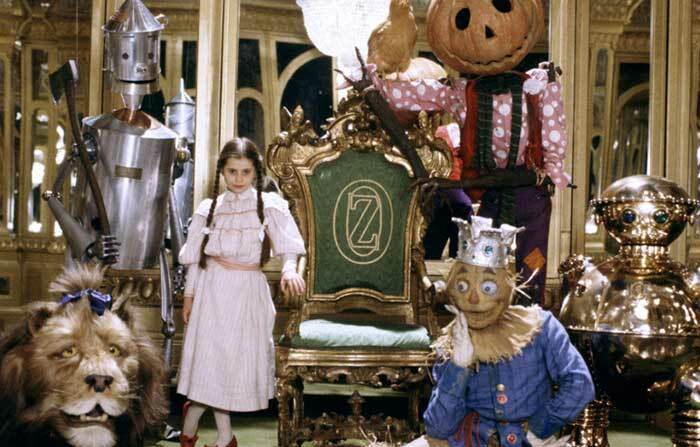 Return to Oz holds a 58% rotten score on rotten tomatoes and only made half its budget back at the U.S box office which is great shame. The film was directed and created by celebrated film editor Walter Murch (The Godfather Trilogy & Apocalypse Now). This film bears all the hallmarks of someone having a lot of creative control on a project (even if it was hard fought), which in my opinion is regularly absent in today’s cinema. When you’ve watched alot of films, you start noticing all the tell-tale signs. The studios are forcing production teams to create something more digestible for mass consumption, thus enhancing their ticket sales. The reason this oversight is an issue is because it takes what should be an organic process and turns into something resembling a tin on a production line. That’s fine for food (is it?) but cinema is an art form. Any creative development is evaporated when the initial vision is hampered for the sake of investors who only care about the return. I’m a great believer in that a film will find its audience, regardless of box office receipts, and low and behold ‘Return to Oz’ became a cult film. I’m sure it’s made its money back by now. The story is based on some of the other Oz stories, ‘The Marvellous Land of Oz’ and ‘Ozma of Oz’. With Dorothy Gayle returning to Oz 6 months after her first adventure only to find a lot has changed since she left and things have taken an even darker turn. The opening scenes, when we discover the Cowardly Lion and the Tin-Man have turned to stone and the Emerald City is in ruins, are quite unsettling. It’s an exceptionally well-designed scene and the cinematography captures a cold and desolate atmosphere really bringing it together. The film doesn’t patronize the young audience, and is a powerful film for people of all ages. I was motivated by the concern that creative control seems to be evaporating these days. The visions conceived in mind or on paper are being so filtered out that we’re getting cinema that’s not only ticking all the boxes, it’s creating them. There’s no right or wrong in a film doing something you don’t like or don’t agree with. That’s where we can allow ourselves to draw our own conclusions. If there’s nothing to question, or think about in the film, why make the film at all? I believe all these films should be appreciated by adults, just as much as younger audiences. Don’t allow yourself to be defined by the types of films you watch. Yes, some films are structured for younger audiences but if there’s nothing to appreciate from an older perspective then it’s probably not worth watching in the first place. After all, the best films speak to all audiences young and old.